If recent single 'Loveblood' wasn't enough to whet your apetite for their forthcoming debut EP, you're in luck as Sundara Karma readily follow it up with The Night. Possibly their most mature effort to date, the Reading-based foursome head up a wall of towering sound as drowsy guitars swoon throughout Oscar Lulu's passive vocals. Enthralling in presence and nature the band's latest outing is as indulgent as they come with its infectious melodies and anthemic choruses setting the mood alight from its opening notes. Having steadily been gearing up for this release for some time now, this latest offering will almost certainly solidify their names as one of the most exciting acts to look out for this year. Take a listen to The Night above and try and tell me it's not an instant mood changer. 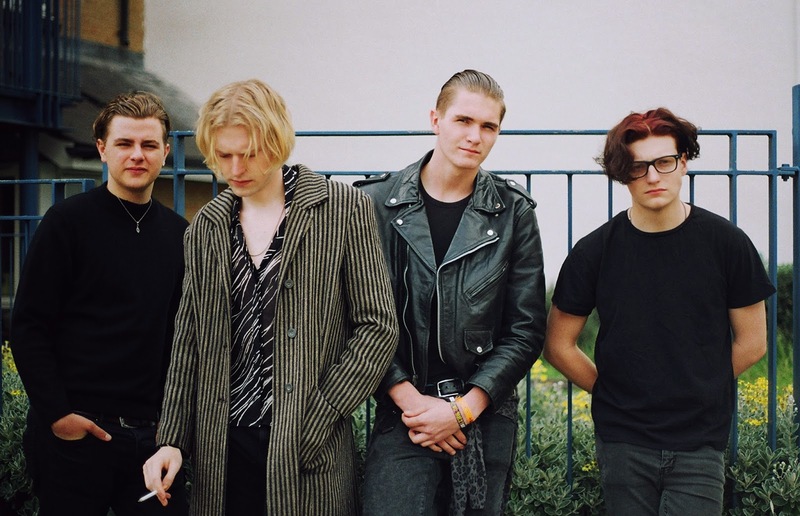 Sundara Karma release their debut EP ‘EPI' on 23 February via 203 Recordings. "It's a collection of all the guises we have taken so far" explains vocalist Oscar Lulu. "We originally wanted to make a concept EP with all sorts of apocalyptic sound effects, but for some reason or another it came out like this. I couldn't really tell you what it is or what it's about as my idea of it changes with each listen, but it's mainly a coming of age record for kids". Take a listen to Loveblood streaming above.